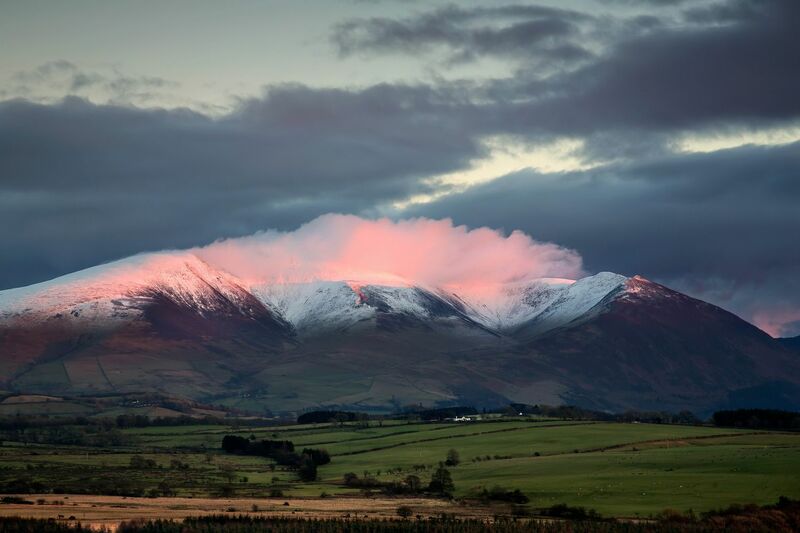 I can honestly say I have photographed this mountain hundreds of times but I have never seen a beautiful Alpenglow over Skiddaw. I could see there was going to be a great sunset and there was already some beautiful light cloud over the snow-capped summit so I was just hoping all things would come together. I was really lucky to capture this image which made Skiddaw appear on fire.